The Gamesmen, Episode 85 – Basket Face and Wall Meat | The Gamesmen- What role will YOU play? 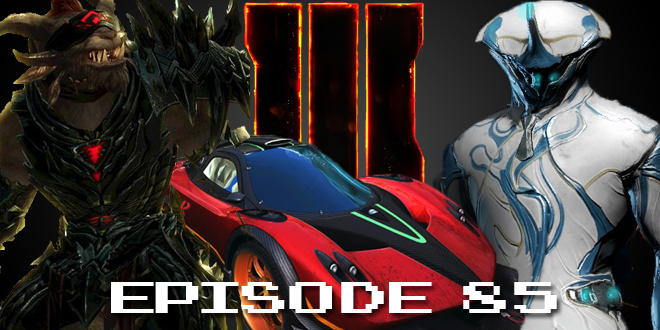 Join Amras89 and Hardlydan for game talk and fun! This time, The Gamesmen talk about the release of Guild Wars 2: Heart of Thorns, Guild Wars 2 becoming free-to-play, Star Citizen’s social module, the release of YouTube Gaming, a Kerbal Space Program port, an upcoming Castlevania animated series, the upcoming Dragon Age: Inquisition DLC, the Pokemon World Championship, Razer’s rival to the Xbox One Elite controller, Sony wanting an artist for the new Project Morpheus team, and more arrests from Lizard Squad. Games discussed are Fallout Shelter, The Witcher 3: Wild Hunt, Warframe, Assassin’s Creed: Rogue, Call of Duty: Black Ops III Beta, Asphalt 8: Airborne, and Dragon Age: Inquisition.